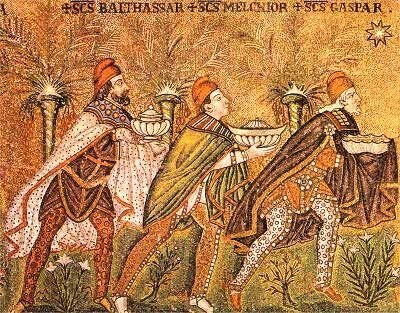 Home » History » The Magi – a new revelation ? We all know the story of the Wise Men, the Star and the gifts they presented to the baby Jesus. But the story of these figures is found only in Matthew among the four canonical Gospels, and leaves many questions unanswered. Who were these mysterious foreigners? Where exactly did they come from? What was their star? And were there even three of them, since Matthew never gives a specific number, only tells us that there were three gifts? 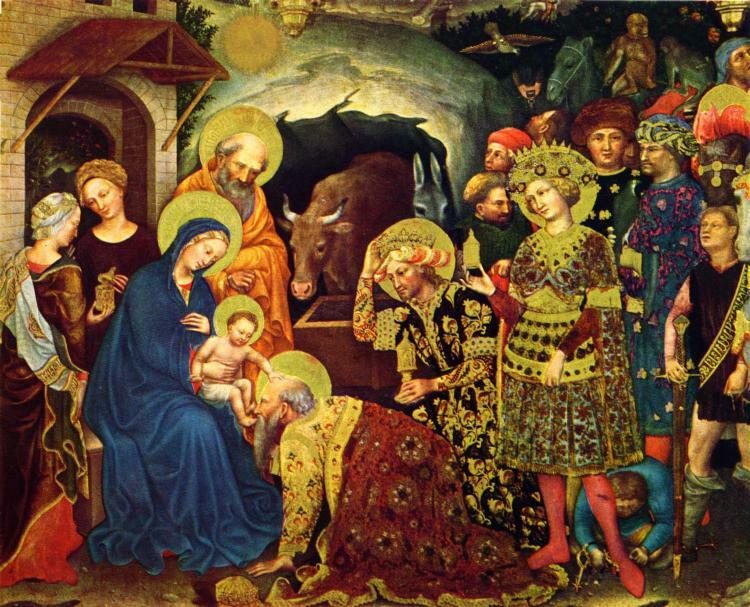 An ancient document found in the Vatican archives has cast new light on the story of the Nativity and the Three Wise Men (aka The Magi) who came to offer gifts to the infant Jesus. 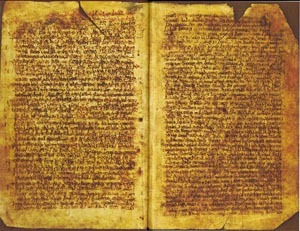 The document called “The Revelation of the Magi” is an 8th century copy of an earlier one dated to the 2nd or 3rd century AD. Rather than being Persians, the travellers came from the semi-mythical land of Shir which is now associated with ancient China – making their journey even longer. 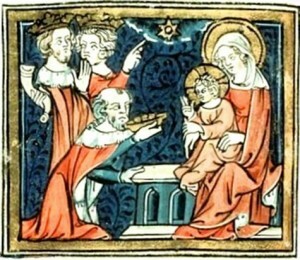 The document claims there were ‘scores’ of Magi rather than just three, suggesting that several men visited baby Jesus. The Gospel of Matthew doesn’t specify an amount – the idea that it was three men arose from the number of gifts they are supposed to have delivered. 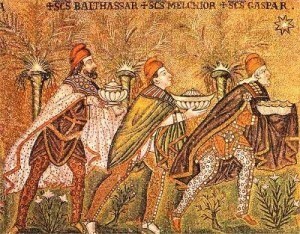 The wise men are described a descendants of Seth, the third son of Adam. They belong to a sect that believed in silent prayer. The Magi waited thousands of years for the star to appear, which they believed would signal God had arrived in human form. The document is very long and complex. Clearly somebody was really fascinated by the wise men to have created this big, long story and tell it from their perspective. A great deal of thought and imagination has gone into it. There are many details of strange rituals, praying and silence. There is a description of a sacred mountain and purification at a sacred spring. It purports to be the Wise Men’s personal testimony about the birth of Jesus, however the detail is so great that one wonders if it is the community’s actual practices that are being described. Nobody knows where Matthew got the story from so along with Matthew’s Gospel this is as close as you can get to the Magi. The text from “The Revelation of the Magi” is written from the point of view of the wise men. It is a long and complex document. Below are some translated fragments. About the revelation of the Magi, and about their coming to Jerusalem, and about the gifts that they brought to Christ. An account of the revelations and the visions, which the kings, [sons of kings,] of the great East spoke, who were called Magi in the language of that land because in silence, without a sound, they glorified and they prayed. And in silence and in the mind they glorified and prayed to the exalted and holy majesty of the Lord of life, to the holy and glorious Father, who is hidden by the great brightness of himself and is more lofty and holy than all reasoning. And the language of human beings is not able to speak about him as he is, except as he has wished, and when he has wished, and by means of whom he wishes. And neither his heavenly worlds nor the lower ones are able to speak about his majesty, except as it is fitting for the will of his majesty to reveal to the worlds so that they are able to partake from the gift of his majesty, because (his majesty) is great and they are not able to speak of it. Then, when the time and fulfillment of what was written in the books happened, concerning the revelation of the light of the hidden star, we were indeed thought worthy for it to come in our days and to receive it with joy, as we were commanded by our fathers and as we ourselves read in the books. And each of us saw wondrous and diverse visions that were never before seen by us, but their mysteries were in these books that we were reading. And each one came from his dwelling place according to our ancient custom to ascend the Mountain of Victories [text missing] to wash in the Spring of Purification, as we were accustomed. And we saw [text missing] in the form of an ineffable pillar of light descending, and it came to rest above the water. And we were afraid and shook when we saw it. And we cannot speak about the brilliance of the star of light, since its radiance was many times greater than the sun, and the sun could not stand out before the light of its rays. And just like the moon looks in the daytime in the days of Nisan, when the sun rises and it is absorbed in its light, so also did the sun seem to us when the star rose over us. And the light of the star, which surpassed the sun, appeared to us ourselves and the sons of our mysteries, but it did not appear to anyone else, because they were removed from its mysteries and its coming. And we rejoiced, and glorified, and gave unmeasured thanks to the Father of heavenly majesty that it appeared in our days and we were thought worthy to see it. And when all these things and many others were spoken about the revelation that appeared to us, the star was with us in all (its) excellent forms so we could see it. And we spoke about it like frail human beings, not being able to say anything that we saw. And we got ready with our whole encampment, and with our provisions, and with the pure and holy gifts, those that we brought out of the Cave of Treasures of Hidden Mysteries, in which they were [deposited] previously by our fathers, and we went forth in great joy, our hearts exulting to come to the place that was commanded to us, to worship the vision of the star of infinite light. And the star, our guide, our good messenger, our perfect light, our glorious leader, again appeared for us, going before us and upholding our whole caravan from all sides, and enlightening us by its hidden light. And we had no need of the light of the sun or of the moon, because their light became diminished in its sight, and by night and by day we walked in its light, exulting and rejoicing without distress or weariness. And it prepared before us a blessed dwelling place in which to reside while we rested and exulted. Even our provisions were abundant in our eyes and did not decrease, but rather from one day to another they increased when it came to rest over us with its light. And it gave rest to us from all our fatigue as if we were not journeying on the road, and it made mountains, and hills, and rugged places level before us. Even the rivers before us we crossed by foot without fear, because of the light of our good guide that went along with us for our encampment. And again, when we crossed into the places [of beasts and vicious snakes,] we trampled them with our feet. And our leader and our guide, in his glory, appeared to each one of us in all forms and appearances in every (stage). And he filled our hearts with great joy, and all the (stages) in which we journeyed were short and swift in our eyes, because our victorious sign and our powerful light, which is beyond every human mouth to speak, guided us with its victorious strength.